After Sarthak's ( my son) exams were over, we were to go on a family vacation. Jyotsna ( my daughter ) was not interested to go as her internship was going on and she would lose her stipend. 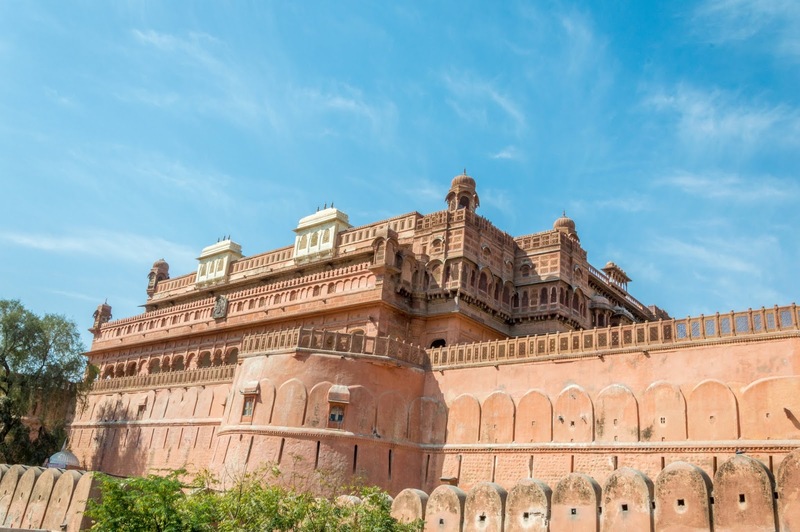 Okay I just showed her the pics of havelis and forts of Bikaner and Jaisalmer, and she was " To Hell with the stipend, I am coming"
Some time back I had received a travel voucher under some offer from one company we deal in. It was a trip for one to Nepal. I have gone on numerous such trips. Generally, companies announce a date and take all qualifiers to the destination. However, in this case, they gave a Thomas Cook voucher, with a contact no. and the name of Thomas Cook executive printed on it for redemption. Nepal I was not interested that too solo by air. I tried calling this Thomas Cook lady 4-5 times after an interval of a few days and weeks, but every time either her assistant picked up the phone or if she picked up she would say that she was busy and will call back. And the call back never came. The voucher was valid till 28th Feb. I was working on fine-tuning itinerary and hotel etc. One day I had to search my daily office diary for something, this voucher showed up again, about which I had almost forgotten. I was about to throw this in the dustbin, I called up that no. again. The lady picked up. I gave her a taste of what a dissatisfied potential customer feels. She was apologetic and told me that she is not the right person for Nepal tour and gave me name and number of another person. I was not going to Nepal, but just to satisfy the keeda I wanted to know the offer. So I called up this lady and asked about the voucher. She told me that I have to pay some taxes and the voucher is valid for twin sharing so they were expecting me to shell out another 30K. When I was just about to disconnect the call, I asked her as I was travelling to Rajasthan, can she offer me just the stay in lieu of the entire trip. She said Yes. 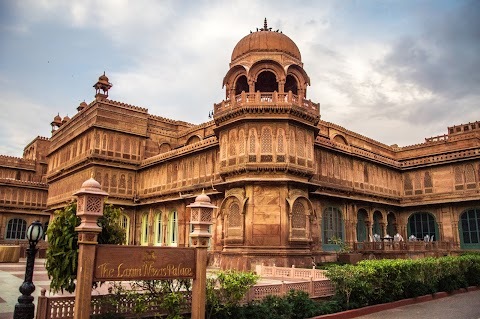 To cut the long story short after a lot of negotiations and twists and turns, I got a deal from Thomas cook That I will Get 02 night at Royal suite at Lakshmi Niwas Palace Bikaner, with a rack rate of 25000 per night, for voucher + 6500.00. To me, it was a good deal as voucher was of no value to me. Hotel at Bikaner was sorted out. Finalised 1-2 properties in Jaisalmer. Then I came in contact with Kasam Khan through some traveller reference and sorted out camping in Sam desert with him.